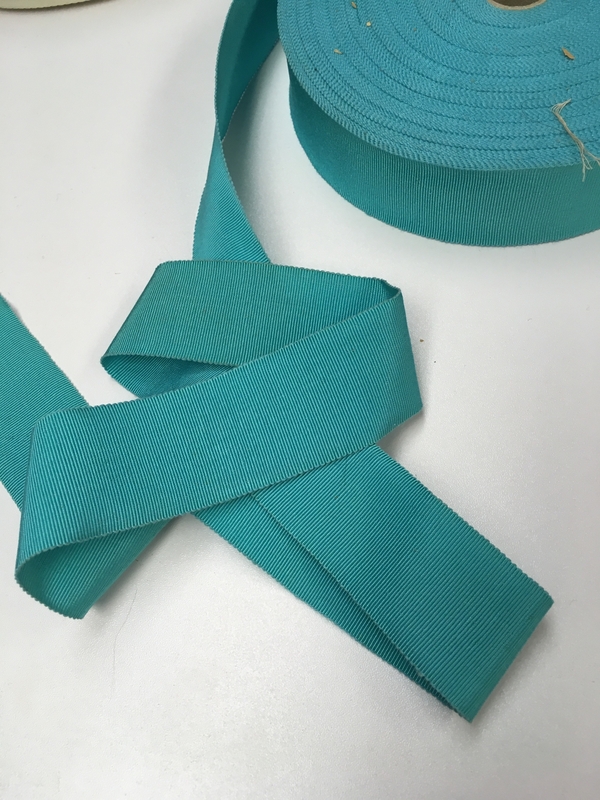 Vintage grosgrain ribbon is aqua in color and is fashioned of silk and cotton. 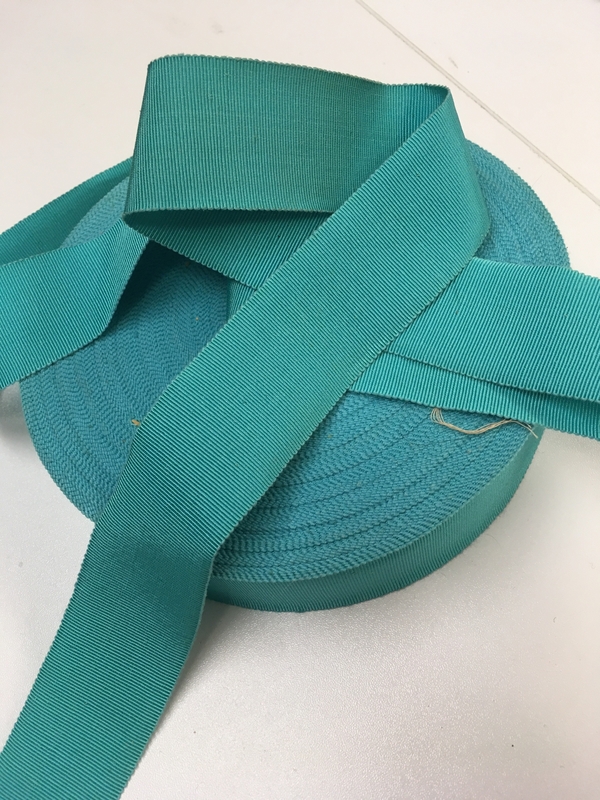 This ribbon is sold by the yard. Width is 1-1/2" wide.